Published November 19, 2015 at 3000 × 1650 in Gallery. 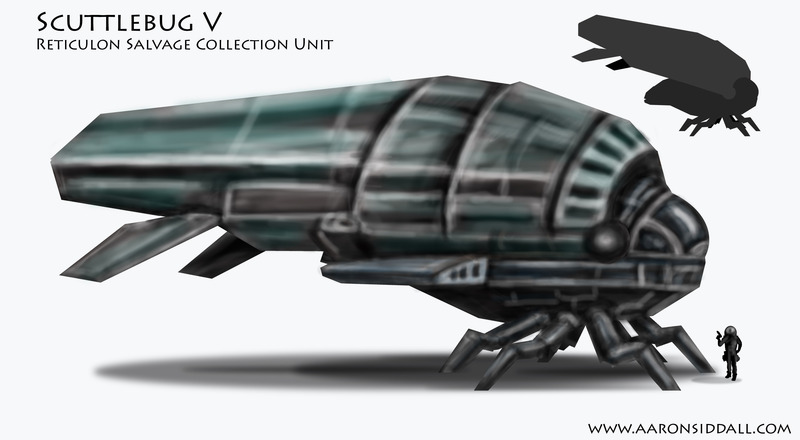 A salvage ship produced by Reticulon Industries. Scuttlebug V- A salvage ship (basically space dump truck) that along with others in its series gathers all sorts of space junk. These vessels have detachable holds and can link up with an assortment of other components.